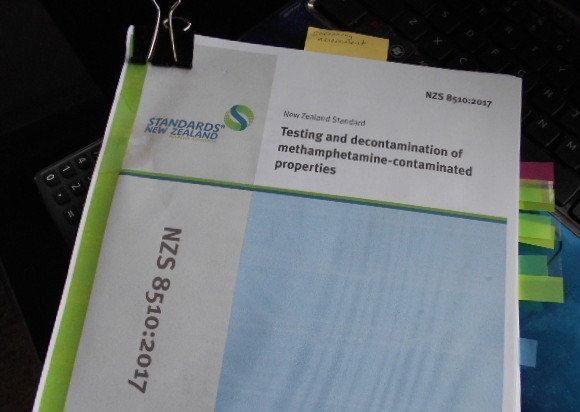 Yes, great enthusiasm and optimism was all the rage last month when the new meth standard NZS 8510:2017 was published. While not as strong or binding as we wanted, at least we had something which set some guidelines for the future. However, it didn’t take long for the criticism to come, and at the MTIANZ inaugural meeting the questions came thick and fast. Now, over a month has passed and after the dust has settled, it is apparent that the ‘shake up’ which was promised is nothing more than a ‘business as usual murmur’. If you do meth testing, you can’t also do decontamination and vice-versa. New testing titles created; screening sampler and accredited sampler (no one qualified yet as courses / accreditation is yet to be created). Meth contamination level set at 1.5µg/100cm² for high-use areas and 3.8µg/100cm² for low-use areas. While this seems all good, the big failure of it has become apparent over the last month and this is the fact that none of it is binding. This means it is basically optional and merely a guideline. This isn’t just on the testing and decontamination side either. The media is continuing to report stories about record meth decontamination costs and this isn’t likely to change. Property owners don’t have to test or report their properties for meth, so why would they if they’re not obligated? When we get a positive result there isn’t any requirement to report this to anyone. Only the person commissioning the test gets this information and they can, or not, decide what to do with this info. Essentially we have the same industry as before where people can take it or leave it when it comes to meth testing and reporting. We’ll never really know the true scale of the problem, but maybe we don’t want to know? Mandatory meth testing for all property sale and purchases. Mandatory meth testing as part of all tenancy agreements. All testing / decontamination reports and certificates submitted to relevant local authority. We see mandatory testing as essential for property sales and tenancies. Testing can cost as little as $199 for a whole house. We’ve found a lot of good lawyers and agents recommending this for clients on their own accord. However making it mandatory will have added benefits. For starters, those flying under the radar, either not testing or testing and cleaning themselves, will have to use an accredited or affiliated meth testing service. By having an open transparent testing and reporting system, which could be overseen by a new agency or as part of a local authority, we would really get a handle on how serious this meth contamination problem really is. Who knows, it might not be as bad as we think, but we’ll never know if we don’t have a way of measuring it. Testing is by far cheaper are easier than decontamination. Only by making property owners and landlords accountable to test their properties for meth can we really start to fight this battle. This might be a bit optimistic during an election year. Oh well, I guess it’s just business as usual then…. 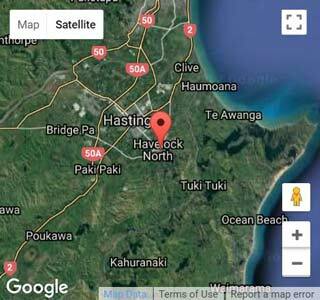 Based in the Hawkes Bay, Neville is passionate about reducing the health and social effects of Methamphetamine. Neville studied down in Canterbury and has a Bachelor of Science Degree as well as diplomas in Environmental Management and Sustainability. Neville is dedicated in the fight to beat New Zealand’s meth addiction as well as the crime and social ills associated with it. He doesn’t just talk the talk. Neville is a spokesperson for the Sensible Sentencing Trust and is an administrator of their Offender Database. He is also involved in the Boys To Men programme in schools which targets ‘at risk’ youth to help steer them on the right path while they are still young. Connect with Neville Pettersson on Google+.